Which means I’d like to talk to you about…carrots. I’m not big into carrots. The veg, roasted are way too sweet, in hummus are boring, and I don’t think cakes and cookies should contain vegetables. When he made these a few weeks ago, I decided I needed them daily, or at least weekly, for the rest of my life. In keeping with that promise to self, I made them last night. Buy some big carrots. No telling what those “babies” will do. Heat a skillet on medium high heat. Add a tablespoon of butter. 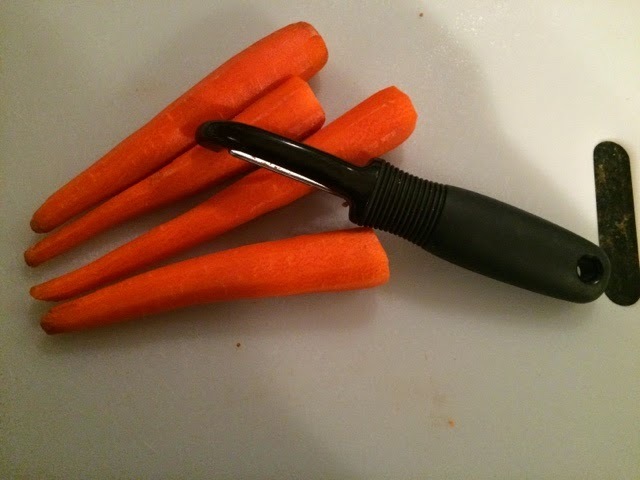 While that’s melting, peel and clean your carrots. Chop into 1-1.5 inch chunks. 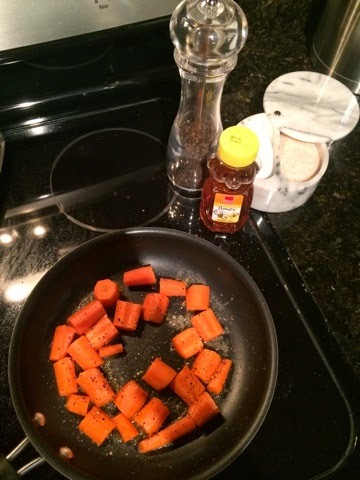 Throw carrots in pan with some salt and pepper. 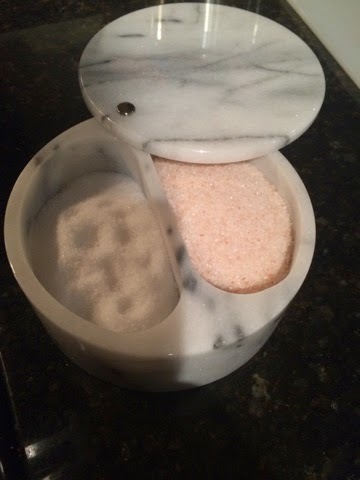 How great is my new marble salt pot. Another idea stolen from the chap. This one is holding some pink Himalayan and some good ol’ Kosher. Sauté for a few minutes then Crank the heat up one more degree. 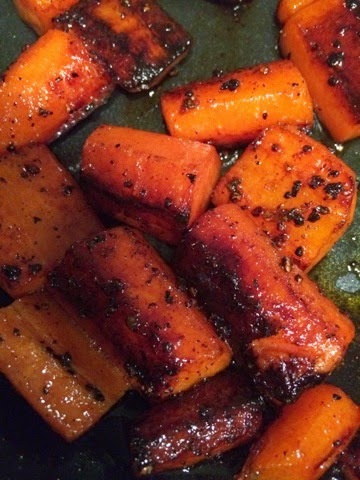 Let the carrots get dark, almost like they are burned, a carrot tan if you will. This process will be forever referred to as tanning the carrots. All this heat requires you add another tablespoon of butter. So do that. DO IT! 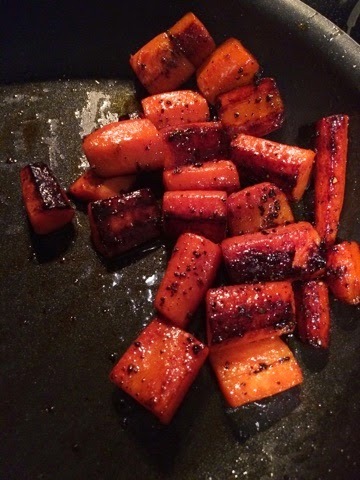 When all sides are browned/blackened/tanned, turn down the heat and drizzle honey on top of the carrots. Sauté everything together for a minute and voilà- the best veggie side dish you’ve had in ages! How easy was that?! Carrots: nature’s candy. Rabbit food: it’s what’s for dinner.